Ever wondered where large fleets of US Air Force disappear as new aircraft replace the oldies? 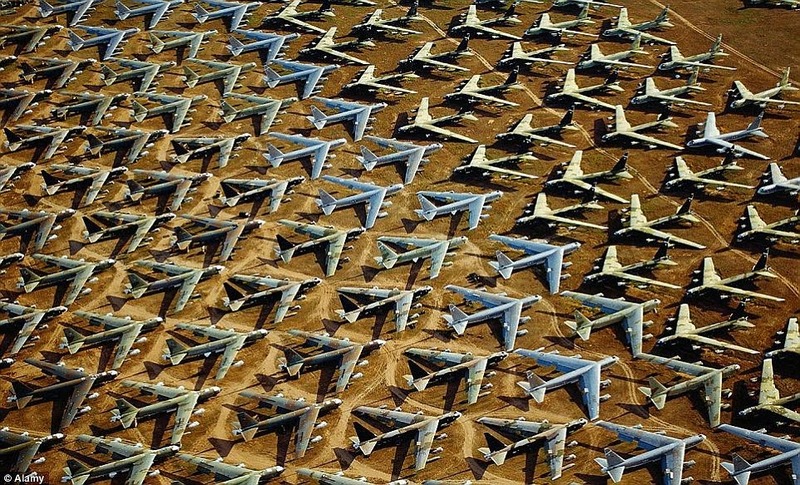 Well there is only place the outdated, phased out and old aircraft go" The Davis Monthan Air Base located approximately five miles south-southeast of downtown Tucson, Arizona. A recent Google Earth photos of high resolution have been shared which shows an are4a of some 2,600 acres in the hot Arizona desert where several generations of US military aircraft are parket. The aircraft include mighty Starfortresses, the nuclear capable aircraft, the F-14 Tomcat fighters that were the mainstay of US Air Force during the Vietnam war.